The Pennsylvania Voter Registration Deadline is coming soon! 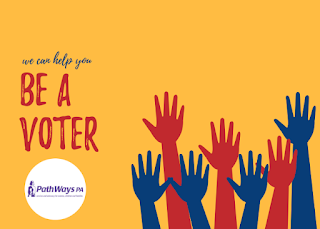 Are you planning to be a voter this May? If you live in Pennsylvania, you need to register to vote by April 22, 2019. If you are not registered by April 22, 2019, you won't be able to vote in this election. To vote in Pennsylvania, you must be: Age 18 or older on Election Day (May 21, 2019)A US citizenA resident of Pennsylvania for at least 30 days before the election If you are on active duty in the military, or you are a hospitalized or bedridden veteran, you can register at any time. See www.fvap.gov for more information. You can register to vote online or by sending this form to the county voter registration office. You can also register in person at your voter registration office. PennDOT and some other government agencies can also take your registration. I voted before. Do I still need to register? April 1 is Census Day of Action - Call Today! 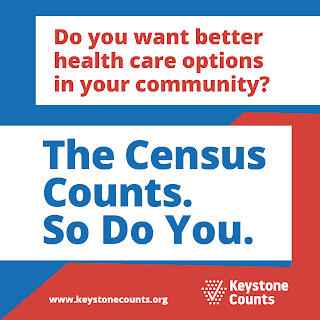 Pennsylvania is at risk of an undercount in the 2020 Census, and this could mean a significant loss of federal funds for healthcare, nutrition assistance, transportation, housing, education, programs for children and parents, and much more! We can't afford to put these programs needlessly at risk. That's why Pennsylvania needs to take immediate action to prevent an undercount. If you're concerned about about health care, nutrition assistance, transportation, housing, education, child welfare programs and more. tell lawmakers to support a public fund in the state budget to ensure a fair and accurate #2020Census. Take action today! Family Separation: We've been talking about it on this blog and throughout the country for months. Back in June 2018, the Administration said they would stop separating families who come to the US border. But in March, the New York Times reported that more than 200 children were removed from their families since the court ordered the practice to end. Parents and children are held in different facilities and even different states. Meanwhile, thousands of children separated from their parents before the court order took place still have not been reunited. Participating dental offices providing free care in Philadelphia, Montgomery, Delaware, Bucks and Chester counties. Give Kids a Smile is for children who don’t have insurance or have not seen a dentist in the last 6 months. For moPCCY.org/smileday. 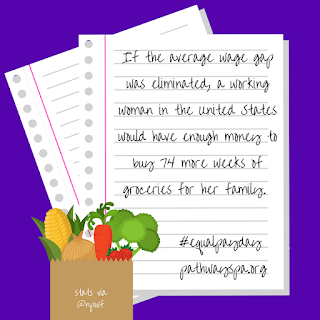 Join us on Equal Pay Day to learn more about Equal Pay affects you and what you can do about it! 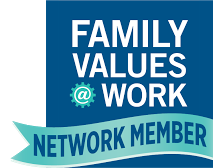 Whether you're an employer or employee, there are ways that you can make the workplace more equitable for everyone. Creative Arts engage children's minds, bodies, and senses! 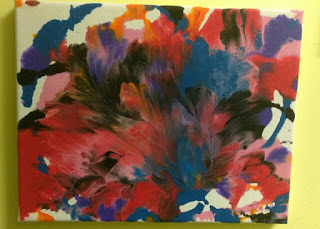 Please consider joining us as we share artful creations from our Therapeutic Art Enrichment program. The children experience less anxiety, build positive relationships and create mindful art while residing at the Center for Families. We hope that you enjoy their work as much as they do. Some of our young artists will be onsite to talk with you and answer some of your questions about their work. Hoping to see you real soon!